Maybe you or a loved one had been wondering “How can I get my foot in the door of the film industry?” Well, here’s your chance. 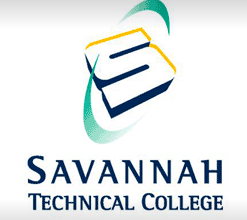 The Georgia Film Academy program at Savannah Tech provides the perfect pathway to a rewarding career in the film industry. The program was designed to be hands-on so our students can “learn by doing”. It is a two semester, 18-credit hour program. The first semester, students learn the terms, etiquette, departments and protocol of working on set or in the production office. The second semester, students are placed in internships to complete their training. While on set, our students are mentored by working professionals and, in most cases, student interns are paid while they are learning. I will be holding an information sessions on Saturday from 10-11AM in room 7125 on the main campus. If you are able to attend, I can answer any questions you might have. If you haven’t visited the GFA website, you can take a look by clicking on the link below.